Home For Sale, With Beautiful View Of The Nuclear Plant! When you look at the home, it looks great. A gorgeous 3-bedroom fishing cottage with a brand-new kitchen, original wood paneling from the 1930’s, a master bedroom with fireplace, and an observatory situated on half an acre of land near the Dungeness National Nature Reserve. It has a private driveway, is less than 5 minutes from the sea, and offers some incredible views of Romney Marsh. At £247,000, it’s a steal. Well, except for the fact that it’s 80 yards from one of Europe’s largest nuclear power plants. 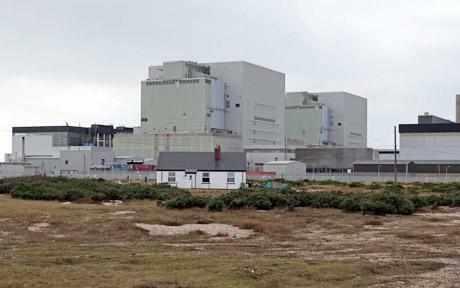 Cleverly, real estate agents Geering & Colyer focus on the Romney Marsh side of the home in the official listing rather than the Dungeness nuclear power station side. That said, how often do you get to purchase a noteworthy home in today’s cheap real estate market? Plus, thanks to the lovely ambient green glow, you’d save a fortune on lighting the house at night! It’s win-win!